Meet the People Tree, the fair trade fashion pioneer based in the U.K. 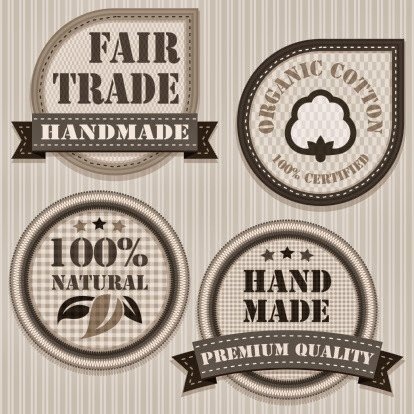 They are designers and manufacturers of fashion and garments that are primarily cotton certified organic and Fairtrade. All their clothes are dyed using safe and natural dyes. And they source as many products as they can locally, choosing natural and recycled products over toxic, synthetic and non-biodegradable materials. For every beautiful garment People Tree makes, there's an equally beautiful change happening somewhere in the world. We like to think of it in terms of our little shoots-and-roots motif. We provide you with exclusive fashion - the shoots - while at the same time we work deep down through the roots, improving the lives and environment of the artisans and farmers in developing countries who work to produce it. It's Fair Trade throughout. Simple. In order to ensure People Tree fashion meets the Fair Trade principles set out by WFTO (World Fair Trade Organisation), we work closely with 50 Fair Trade groups in 15 countries. That way, we can bring benefits to people and the planet at as many steps of the production process as possible – growing cotton, weaving, dyeing, embroidery, stitching etc. – helping alleviate poverty in the world's most marginalised communities. We also work hard to ensure that we pioneer ecologically sound methods of production and minimise environmental impact. Not only is most of our cotton certified organic and Fairtrade, all our clothes are dyed using safe and natural dyes. And we source as many products as we can locally, choosing natural and recycled products over toxic, synthetic and non-biodegradable materials. All our designers – both in the UK and Japan – know how to work within this set-up, which means we can produce garments that are beautiful, as well as caring. So, our collections are all the more special because they make imaginative use of local skills (handwoven fabrics, hand screen printing and hand embroidery are used a great deal), which creates as much employment as possible in areas that really need it.